Round 3 of the IRC Summer Series featuring the mighty Central Muscle cars! 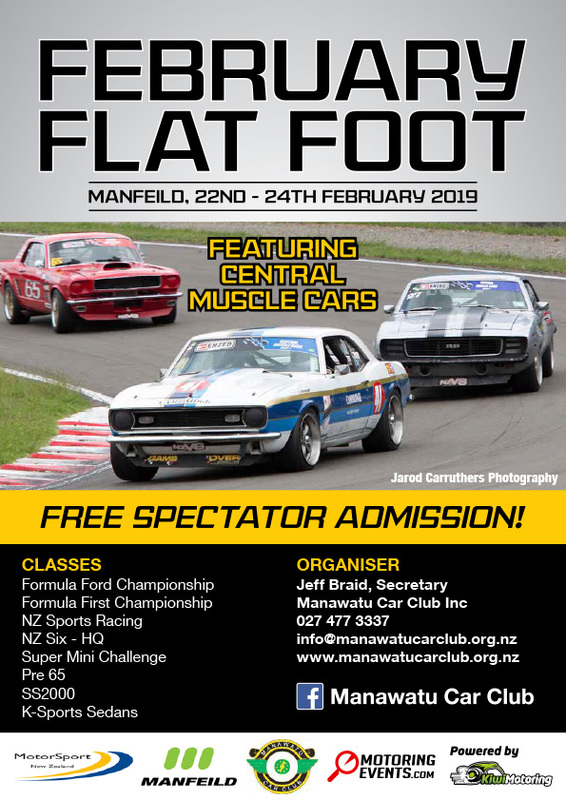 Also a round of the NZ Superkart Drivers Championship. Test Day Friday 22nd is $120. First session starts at 9am. Register and pay in the office. Meeting rides scheduled for Saturday afternoon at the end of racing.